The empty urban streets of the inner suburb of Bowden bear witness to the slow and steady disappearance of the blue collar, inner suburb working class through the process of de-industralization. The streets are the sites of this trauma and the photography is about absence, void, lacunae. What is not there is the traumatic memory from the closing down of the factories, the loss of jobs, the unemployment and the slow urban decay. The blue collar working class were facing a future of closure. Their old industrial way of life was slowly disappearing as they lived. This closure was a traumatic event. Nor is this photography a late photography, in the sense of the photographs being taken in the act of return to a location in Bowden after something has happened, and in response to traces of events in the landscape. These are usually pictures of the detritus left behind by the historical events and processes. 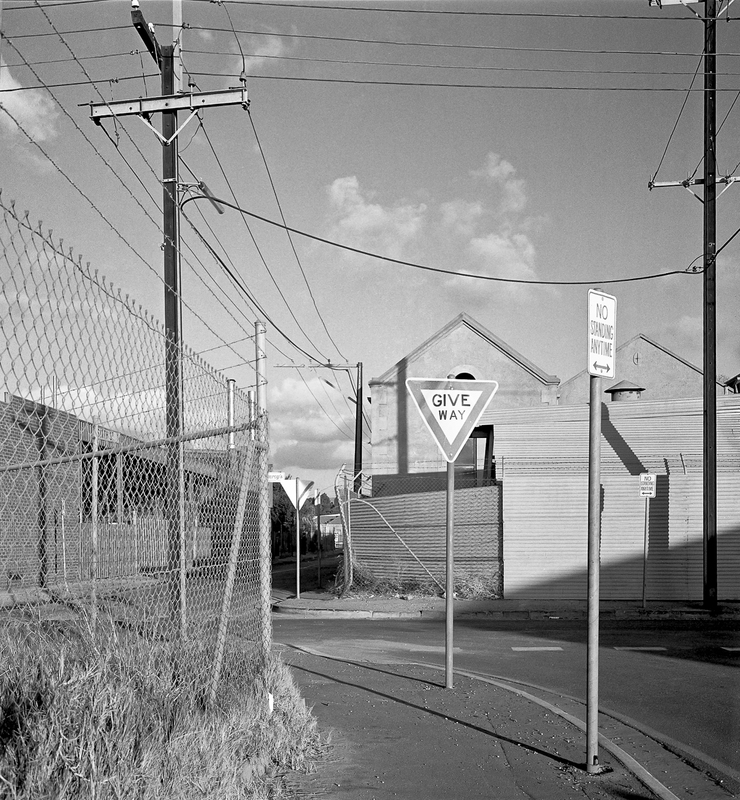 Instead of being made of places at which an event had occurred long before the photograph was taken, these photographs are contemporary with the process of de-industrialization that started in the 1970s with the removal of tariffs to protect Australian manufacturing. This process cannot be represented in its full complexity by a realist orientated photography. The photographs represent scenes of a particular place that are evacuated of human presence but are affected by human action. The tension between presence and absence is mediated by personal and collective memory. Place is a space of experience, memory and processes as it is a space of embodied action and local habitation. 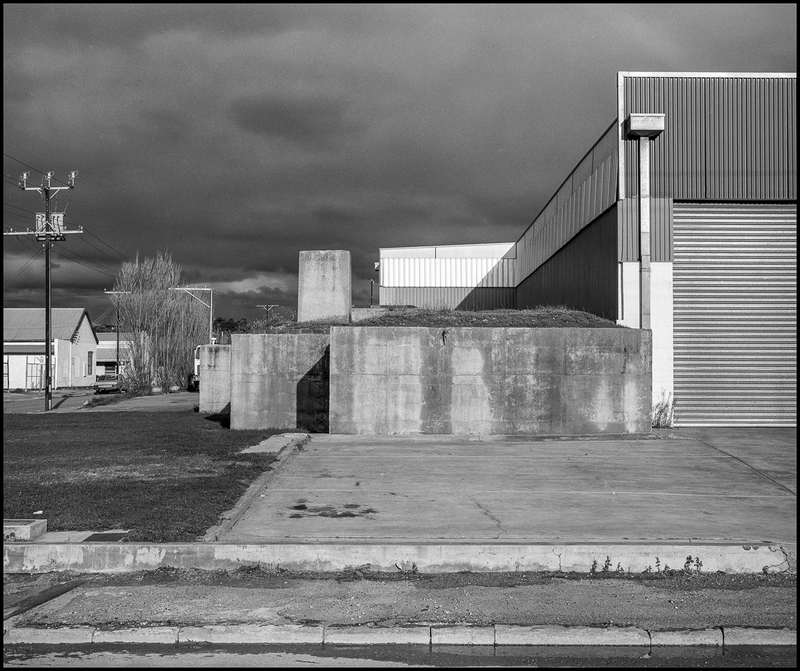 Memory is formed in and by place through experiential interactions and in turn, place triggers memory–my memories of living and photographing in Bowden before its gentrification. I have returned to, and walked around, the gentrified Bowden in the second decade of the 21s century. Much has changed. I had lunch in a park across the road where I had a studio. and used to live. The building has gone. So I wandered around looking for locations that I remembered and which hadn’t disappeared and took a few photos with a digital camera.